We’ll take pictures of your spine with you seated. You’ll see your X-rays and learn what they tell us. Created and named after its developer, Dr. Burl Pettibon, this analytical approach to chiropractic is based on one of the most relentless forces we encounter: gravity. Turns out that sitting puts more stress on your spine than standing. So we always take your X-rays… seated. And we take them the same way each time. This way we can accurately compare how your body is adapting to our care without the influence of uneven leg lengths. The first phase of care lasts two to three weeks. Since most people begin chiropractic care with an ache or pain, we start there. During this acute stage, we’ll show you specific home care procedures to accelerate your results. The second stage of care is designed for those who want more lasting correction. This often takes up to three visits a week for three months or longer, depending upon the damage to your spine. This, combined with the at-home procedures, can produce extraordinary results. 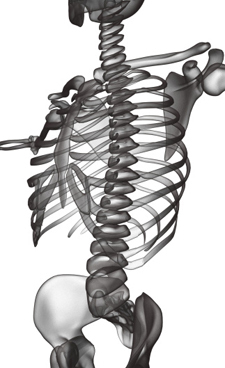 The third stage of care is designed to maintain and enhance your postural correction, muscle strength and endurance. At this stage, visit frequency can usually be reduced. The truth is, we can’t “fix” you if you’re not willing to participate. Those who are truly interested in the lasting correction that is possible and do their homework, seem to get the best results. Simple as that.